This fitting replaces the electronic shutoff valve found on Mercedes om60x engines that were equipped with an electronically controlled pump. The propritary Mercedes fitting is replaced with a -6AN male on this part, allowing for ease of customization. 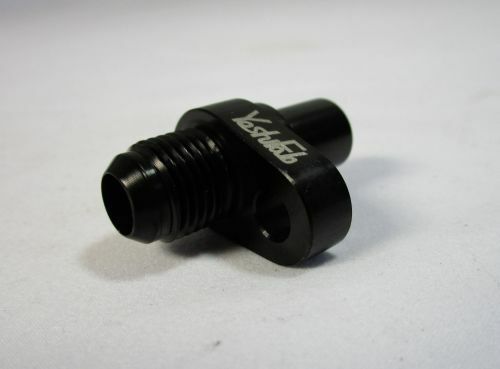 These fittings are machined from aluminum and finished in black anodize.